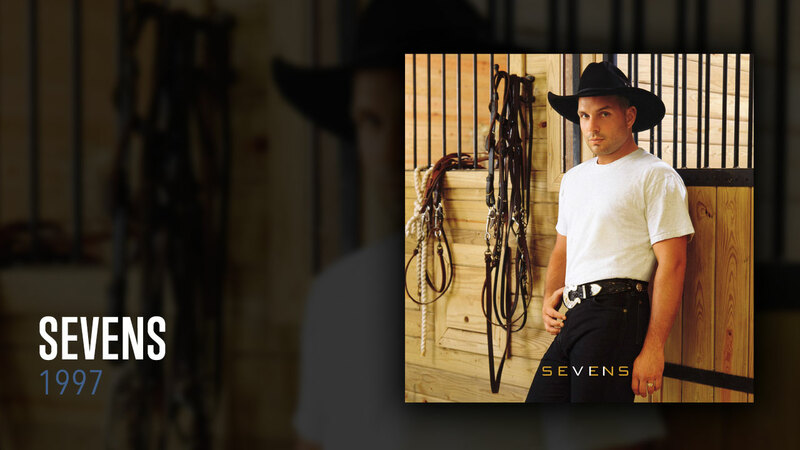 SEVENS - RIAA certified for sales of over 10 million units, Garth’s seventh studio album debuted at #1 on both the Billboard Top 200 and Country Albums charts with first-week sales of 896,932. This was the top-selling debut week of any album released in 1997. Fueled by two Billboard #1 singles—“Longneck Bottle” and “Two Pina Coladas,” SEVENS topped the Top 200 chart for a total of 7 weeks, and the country chart for 13 weeks.